Hauai Ahu Whenua Trust is a landholding trust situated in Hauai Bay of Te Rawhiti. 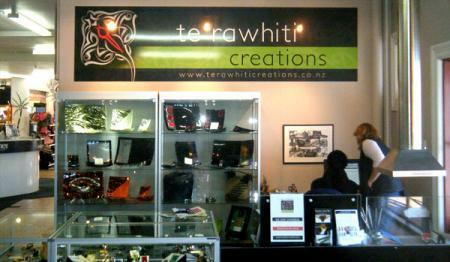 In May 2010 the trust set up Te Rawhiti Creations to create employment opportunities for their whanau. The store offers a range of goods from beautifully crafted glass dinner sets and platters to affordable pendants, earrings and charms. The store is situated in the Paihia Maritime Building, Paihia between Fullers Great Sights and Hansen’s Cafe.